Some of the largest manufacturers of electric scooters and bikes in India are Hero, YObykes, Lohia Auto, Avon, Terra Motors. Lured by the early success, BSA known for its high range of bicycles had also launched electric bikes and scooters in 2009 in India in different styles. But it soon shut this product line. Electric bikes are eligible for depreciation at 80% annually. Very convenient for use by teenagers and elders, these scooters are lightweight and offer a good run inside a city once fully charged. Many of these bikes come equipped with a lithium-ion battery which is more efficient than a lead-acid battery. These vehicles are smarter, faster and greener. 1) Hero is one of the oldest and most trusted automobile brands in India. Popularly known for its traditional bikes in the country, the company forayed into the electric vehicle segment after 12 years of extensive research in the EV segment. The company has a manufacturing unit at Ludhiana. Today Hero Electric is the market leader in the category with more than 300 sales and service outlets across India. The company manufactures both electric bikes and electric cycles and rickshaws. Its electric two wheelers comprise of super economy and high-speed series. The company has around eight models – optima, crux, flash, maxi, wave etc in the super economy category. These have a speed of 25-30 km/hr and can run for 70 km (economy mode) and 50 km (power mode) per charge. In the high-speed range, the company has launched two models – E-sprint and Photon that have a speed of 45-50 km/hr and can run for 70 km (economy mode) and 50 km (power mode) per charge. Prices of these bikes start from INR 19,000 till INR 46,000. These scooters are very reasonable, stylish and elegant to suit the preferences of young and old. 2) YObykes is the electric vehicle’s brand of one of the largest industrial conglomerate in Gujarat, Electrotherm Ltd. (ET) founded in 1983. The company pioneered the introduction of electric two wheelers in India in 2006 under the brand name of YObykes. Today the company has become one of the most trusted brand names in the country with more than one lakh customers. Over the last decade, the company has developed an in-house R&D, QC and manufacturing facility for Electric Vehicles. These bikes are not only efficient but also pocket-friendly. These vehicles are 100% electrically powered and do not need any fuel to run. Other features include lightweight, no gears/clutch, Low running and maintenance cost. YObykes can be conveniently divided into YO Electron and YO Xplor and are available in 4 models – in different colours suitable for all age-groups. YObykes are one of the most popular brands of electric scooters running in India. Once fully charged the electric bikes/ scooters can run comfortably for 70 km. Price starts from INR 36,000 to INR 50,000. 3) With a product portfolio of more than 10 and an ever-expanding network, Lohia Auto is one of the largest manufacturers of electric vehicles in India. The company produces electric scooters, cycles, bikes and rickshaws. 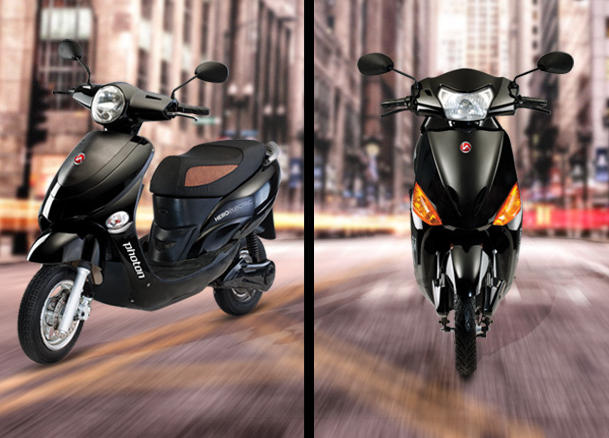 The company has launched three models of electric two-wheelers so far. These are Oma Star, Oma Star Li and Genius. Oma Star Li uses a lithium ion battery and was the first of its kind in India, according to the company’s website. The scooter has elegant features and is available in four different colours. The vehicle is light (66kg) and can carry about 130 kg. It takes less than three hours to be fully charged. Low maintenance, zero emissions and infinite savings make these bikes a popular choice in India. 4) Terra Motors is a Japanese company. The company sells electric scooter and bikes in India. Its popular models include A4000 (low priced model) and A4000i. Terra A4000i Electric Scooter is compatible with the iPhone. It is priced at INR 1 lakh. It is light weight and gives you 65km range after charging. Its removable and rechargeable battery can also be used in apartments. The Terra Kiwami is an expensive range of electric bike available for almost INR 20 lakhs. 5) Avon started as a cycle manufacturer and was incorporated in 1951. Avon has seven successful models of e-scooters running in India – e-bike/ VX, e-plus, e-lite, e-scoot, e-mate, e-star. The maximum speed of these bikes ranges from 25 km/hr to 55 km/ hr. The charging time varies from 4-8 hrs. The bikes have a rated load capacity ranging in between 70 kg and 120 kg. We want the high speed scooter in bulk for test we want some sample please share the details of the product.